I can't believe I have been writing my weekly 'goings on' shall we call it for 17 weeks?! That is crazy. I even looked back on them to check to see if I had missed a week! By the way I haven't. Anyway, on to last week. 01. I have eaten so much, but what are holidays for? 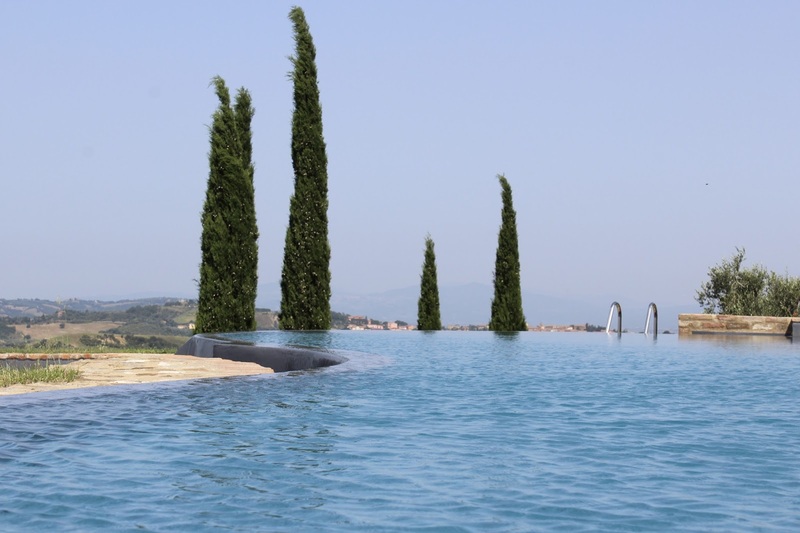 We stayed in the most amazing Tuscan retreat where I just ate and sat by the pool most days. I will definitely miss my breakfast staple of croissants and cakes, but on Saturday morning James went out to this new artisan bakery opened up around where we live and bought me just that. One word; Keeper. 02. Flourish & Blotting has been redesigned! I love it. Of course there is still a bit of tweaking to do here and there, but it's just so lovely, and fresh. 03. I will definitely miss wearing my sundresses now I am home. I just can't believe how cold it is here. I went out to town on Saturday with a jumper and a coat on. Come on Britain! I did however restock my Primark pyjamas though, and bought these amazingly cute Bambi sandals for £2.50! They are so comfy and even have a bit of a Givenchy feel about them? IDK. I did actually plan to do a holiday look book but I only have one decent outfit picture! I still may do it though, so watch this space. 04. I am really loving my new bag. I have been wanting a sort of french grey coloured bag for so long. I had been eyeing one up in Whistles but this one was such a steal. It was €30 from a shop in Montalcino . It is made from real leather and just looks so smart, it definitely has whispers of Mulberry about it too. I just love me a structured bag. 05. This week I finished A Court of Mist & Fury by Sarah J. Maas and I have started reading A Darker Shade of Magic by V.E. Schwab. It's been on my reading list for like, forever. It is taking a little while to get into it as the storyline is a little bit grim, but I am hoping I can finish this one and start tackling my ever increasing stack of paperbacks. Also did you see my post on my holiday reads? 06. I have been listening to Spotify still. I am not sure if I am going to keep on paying for the premium package now our holiday is over, but what a gem of an app. I definitely recommend it if you can't be bothered sorting your iTunes music out. 07. I have been watching nothing at the minute. I realise the new series of OITNB is out on Netflix but I am scared if I start watching it, that will be it for at least a week until I have finished. 08. I really want nothing really! I am completely spent up this month! Don't you worry, I have a Sephora haul coming soon. 10. I've been feeling really quite happy. Maybe it's been the influx in vitamin D? I don't know.